David is Global Head of Industrial & Logistics Research at CBRE. He focuses primarily on expanding the Americas Industrial Research team’s insight generation and market intelligence to help guide real estate strategies, identify risks and validate decision-making, and serves as the CBRE spokesperson on the industrial real estate environment. David has developed and owned the Industrial thought leadership agenda and has been responsible for the production of major reports touching topics crucial to the industry including e-commerce, ports and logistics, and development trends. 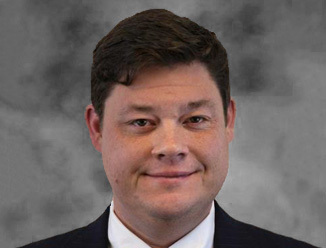 David Egan brings 13 years of experience in real estate valuation and market analysis from time spent as Manager of Transaction Real Estate at Ernst & Young. At EY, he provided strategic consulting, valuation, and market analysis for a variety of real estate owners, investors, and users. Prior to EY, David served as an Investment Sales Broker at Colliers International where he specialized in the marketing and sale of large institutional industrial and office portfolios. David was also an Acquisitions Officer and Financial Analyst Manager at Duke Realty, where he oversaw the valuation and underwriting of over $1 billion of acquisitions, dispositions, development, leasing and capital improvement projects.